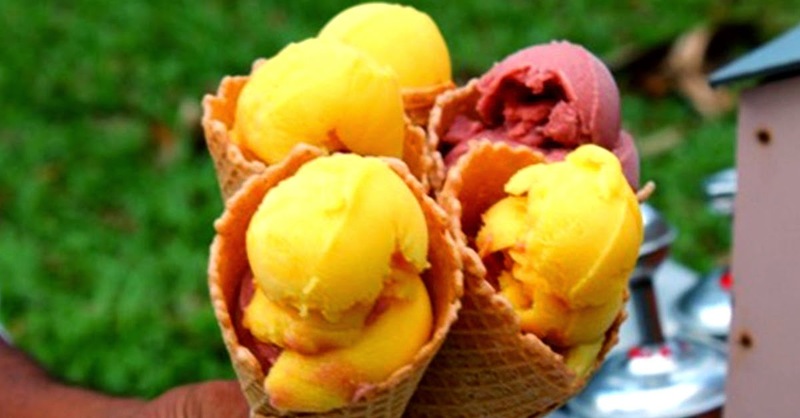 Home / Culture / Nostalgia / Why is the Sorbetes Called Dirty Ice Cream? Why is the Sorbetes Called Dirty Ice Cream? The friend crossed over to the other side of the Pacific about half a century ago; and thus the question, trite as it may sound, was perfectly legitimate. If I am being honest, I did not really know the answer; and I still don’t. But after a quick scratch of the back of my head with a hooked pointer finger, I hastily invented a plausible enough sounding theorem. Sorbetes manufacturing, I said, is something of a backyard industry; and sanitation standards are not always acceptable. I almost added ‘churva’ but then realised he probably would not understand the meaning of that contemporary word. I did admonish the friend not to quote me, my very polite way of saying that I just made the explanation up. I am sure he figured that on his own. Another friend, this time a Fil-German, said that she thought the name was because the hand of the sorbetero was dirty. I gave this a bit of thought and, yeah, this explanation was as valid as mine. Indeed, when I was a boy, the sorbetero was rather bound to be an oldish man with wizened hands along with cracked and dirty fingernails. Hence, back in the day, we were admonished not to eat the bottom of the apa (the cone) because this was the part he held with his fingers as he scooped the ice cream onto it. Of course, back in the day, I was still a little boy. I would not know how to spell sanitation let alone what it meant. That is just my way of saying that I ate the bottom of the apa, anyway. Truth be told, the sorbetero was something of a Pied Piper; and the sound of his tililing (little bell) sent the kids scampering from their houses to chase after him. The sorbetes offered cheap relief from the tropical heat. Of course, if one had more coins, one could also go for the branded popsicles like the pinipig grunch (pinipig crunch). If for some reason Mother was suddenly and inexplicably generous with handing out the coins, then one went to the ice cream shop for Magnolia. But because these occasions were rare – or, at least, in my Mom’s case – then it was the ubiquitous sorbetes most of the time. When one is a little boy, anything that is cold, sweet and creamy always brings a sparkle to ones’ eyes. I think the term ‘dirty ice cream’ is a fairly recently coined term. We sure did not call it this way back in the day. At this point, one explanation is as good as the other because, at the end of the day. I do not really know. Acknowledgment: Top photo from http://www.scoopyscoop.com.